What Is Micellar Water? Will It Replace Washing Your Face? I've been seeing a lot of brands jumping into the micellar bandwagon. I got so curious that I bought this Simple Micellar Cleansing Wipes made by Unilever the last time I beauty shop at Watsons. 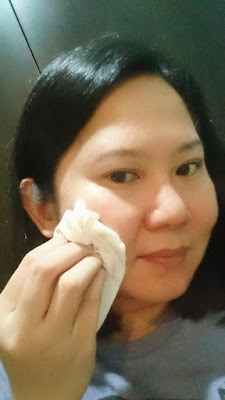 It cost me P299 for a 25 pieces wipes. I wasn't even aware of the price because I just picked it up when I passed by the shelf on the way to the cashier. And I also don't know what micellar is all about! My research (googling) told me that this water is made up of tiny cleansing oil molecules suspended in soft water. They are supposed to attract oil and dirt but is not drying to the skin. I am really very lazy when it comes to beauty regimen. The simpler, the better for me. Did I understand it right? I won't need to wash my face with soap and water after cleansing with micellar water? And I don't need to tone and moisturize? Cool! Ironic. I just bought an expensive toner and moisturizer on that fateful day I bumped into this micellar cleansing wipes. To think that this is all I need! Or not? Something bothered me on the definition. The word oil. I've got an oily skin so will this really work for me? 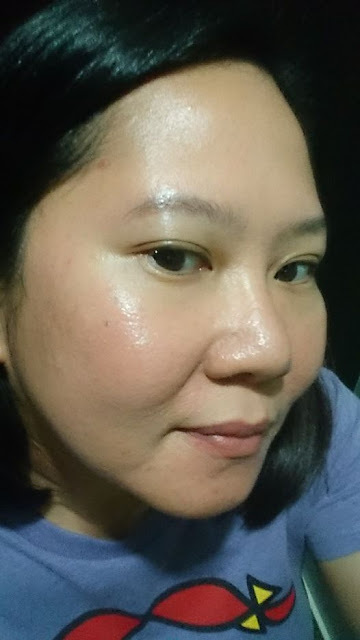 I was wearing a Maybelline BB Super BB Cushion and Maybelline White Superfresh two-way cake for almost five hours and my face is kinda oily already. I used the Simple Micellar Cleansing Wipes for the first time and my skin felt clean and fresh. No flaky residue that I usually get from washing with soap and water. Hmm... Let's see if I won't breakout these coming days. My face looked shiny after using the Micellar Water Cleansing Wipes but it doesn't feel oily. I also noticed that my large pores became less visible. It somehow has a tightening effect. I was not blessed with a flawless skin and to make things worse, I am lazy with skin care. But my 2017 goal is to take care of my skin so hopefully there'll be some improvement and I hope it's not too late to start because I am already 40. 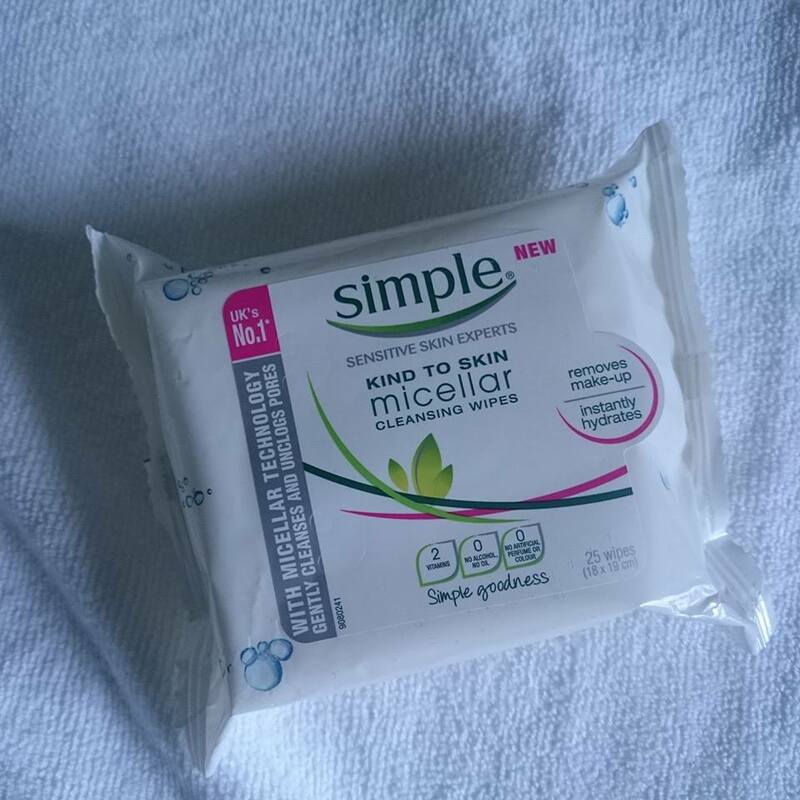 Simple Micellar Cleansing Wipes is a product of Unilever and according to the package is UK's No. 1. It has micellar technology that gently cleanses and unclogs pores. It removes make-up and instantly hydrates. It has two vitamins - Vitamin B5 and Vitamin E. It says no alcohol and no oil (hmm..) so it's non drying and non greasy. It also do not contain artificial perfume or colour and no harsh chemicals. Have you tried this brand? How was it? Or do you use a different brand? Please let me know because I am really interested to know which brand is the most effective. Looks like better than the micellar water that needs cotton to use. The wipes are more expensive though I think. Mahal nga huhu alam mo yung dumampot ako without checking the price tapos gulatan na lang nung babayaran na.